Huh? What makes me so cavalier? I’m not. 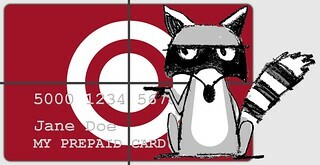 I’ll know right away if there’s an unauthorized purchase on any of the prepaid cards in my family. How? I get real-time text notifications for any activity on any of the prepaid cards in my family. If I see something amiss, I can take action immediately. Are you using a credit card, debit card, or prepaid card that provides real-time alerts whenever a purchase is made? If so, let us know which one in the comments. If not, you should be. In my mind, that feature should be a minimum requirement of any reasonable credit, debit, or prepaid card offering. Real-time activity alerts won’t prevent you from being a target of fraud, but at least you’ll know right away when you’re hit. Good info - thanks Jennie. Here's the page describing NetSpend's nice "Anytime Alerts" feature: https://www.netspend.com/why_netspend/powerful_tools/anytime_alerts.shtml Apparently, the real time alert does not include the current balance, but that can be retrieved with a follow-on BAL text command. Thank you Lauren - consumers can look on the scrolling banner of TransCard partners and clients on the TransCard.com home page to see if a local financial institution offers TransCard cards. Or you can call TransCard customer support to inquire if there is one nearby. Ha! I've been a Wells Fargo customer forever and never saw their rapid alerts capability, which I now see here: https://www.wellsfargo.com/credit-cards/alerts/ Gonna check that out asap. I have Mileage Plus via Chase too, so I'll look into that as well. Thanks for the info!